Call Now and Join the Fun! Women always chat free with VIP members! Our quick anonymous sign up will have you listening to greetings in the LiveLounge and chatting in about 2 minutes. First time callers enjoy a a full hour to freely message and chat. Member created forums allow you to get to know people with the same interests. Find fun and drama in the chat rooms. A state of the art blocking system provides a safe experience. Call Now to Join the Party! Record your first name or alias and greeting for other members to hear when you are online or offline. Chat one on one with VIP members. Maintain a mailbox so you don't miss messages when you can't be online. Ladies get plenty of interaction as a free member! Men, make yourself available with a VIP subscription. Why limit yourself when you can have unlimited everything 24/7 for these low prices? Get everything the basic membership provides, and more. Get links to the chatroom participants so you can chat with them privately. Turn your forum into a live conference when you are online. 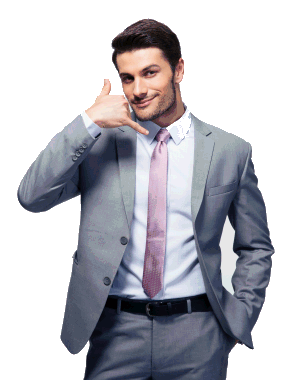 LiveCall credits for receiving calls when you are offline and calling members that are offline. No phone numbers are exposed. The LiveLounge is where you hear the greetings of online members that match the preferences you choose. When you have heard all the online members, continue with offline members and leave messages in their mailboxes. As soon as the next matching member calls in you will hear their greeting. Send links to your mailbox of the others in the chatroom so you can contact them easily. Your block list works through out the system. Toggle it on or off in the chatrooms. Member created forums are a great place to find people with your same interests. You can find a forum relating to your interests or create your own. Turn on LiveCall and members can call your phone to chat without exposing anyone's phone number. Don't worry if you miss a live call. The message will be waiting in your mailbox the next time you call LiveMatch. You can connect from your laptop, desktop computer, tablet or mobile phone using your browser. LiveMatch offers a simple keypad on a webpage that will allow you to navigate the chat line menus. Why use your browser instead of your phone? Uses your internet connection instead of your phone minutes or long distance. High quality, static free communications. If they have a picture it will display while they talk. See the extensions of the chatroom members and know which one is talking.